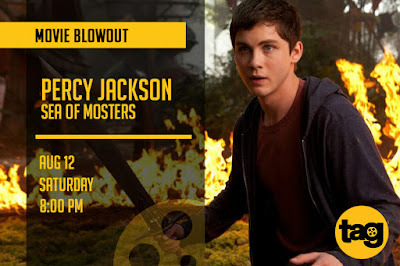 Venture with the son of Poseidon as he sets out on another dangerous quest in “Percy Jackson: Sea of Monsters,” airing on cable channel TAG TV’s “Movie Blowout” this Saturday (August 12). The Chris Colombus film is the second installment in the Percy Jackson franchise, loosely based on the novel The Sea of Monsters from the bestselling Percy Jackson and the Olympians series by Rick Riordan. Percy once again finds himself face to face with lightning thief and son of Hermes, Luke, as the latter poisons the tree protecting Camp Half Blood. In order to save the demigods’ safe haven, Percy, his friends Annabeth and Grover, and newfound brother and cyclops Tyson must race to the Sea of Monsters and find the mythical Golden Fleece, all the while trying to stop an ancient evil from rising. “Percy Jackson: Sea of Monsters” is top billed by “Perks of the Wallflower” actor Logan Lerman, “Baywatch” star Alexandra Daddario, stand-up comedian and rapper Brandon T. Jackson, and “The Host” actor Jake Abel. New additions to the cast include Leven Rambin, Douglas Smith, and Academy Award winning actor Stanley Tucci. TAG TV brings Filipino-dubbed foreign films showcasing a collection of rom-coms, dramas, action-packed movies, thrillers, comedies. It features “Movie Blowout,” TAG TV’s premiering block for new Hollywood and Asian blockbusters, every Saturday night, offering exciting flicks for the whole family. 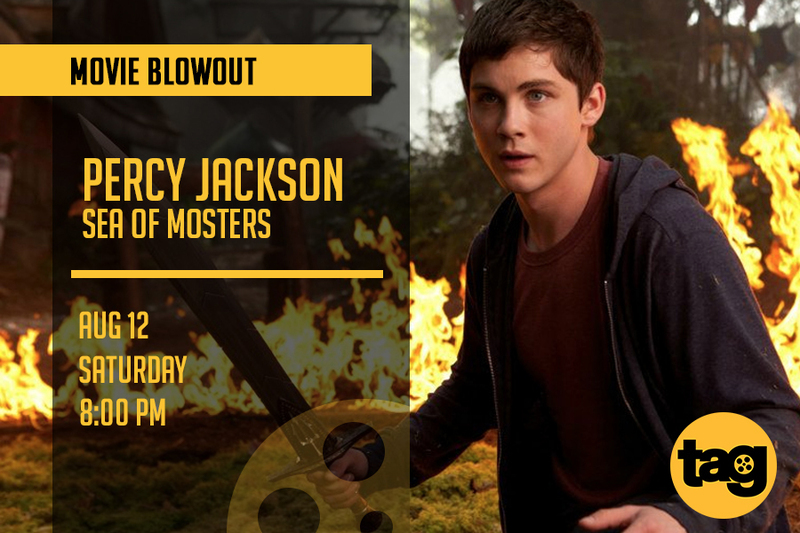 Enter a world where Greek gods and monsters exist amongst humans in “Percy Jackson: Sea of Monsters” this Saturday (August 12) at 8PM. TAG TV is available on Skycable Channel 77 and Sky Direct Channel 44. For more information, like TAG TV on Facebook and follow its official Twitter and Instagram accounts (@TagTVph).